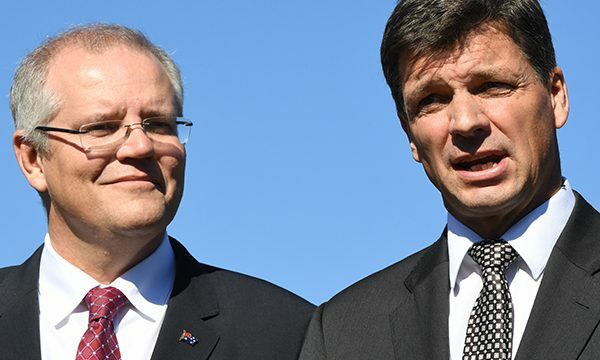 After a week of Liberal party madness, which saw them junk the National Energy Guarantee (a policy they had been championing for almost a year), Australia now has a new Energy Minister – Angus Taylor. Unfortunately for the country Angus Taylor is the most anti-renewables, climate change denying minister Australia has ever had. His appointment from new Prime Minister Scott Morrison, the guy who waved a lump of coal around in the Parliament, signals the complete triumph of hard-right ideology on energy policy, which is sure to guarantee higher power prices, continued investment uncertainty and rising pollution. Angus Taylor has a long history as an anti-renewables energy ideologue, including fighting to kill Labor’s Renewable Energy Target (RET), which is the only thing currently bringing down prices and pollution. And he led the campaign to force Malcolm Turnbull and Josh Frydenberg to abandon their National Energy Guarantee, which has only the made Government’s energy crisis worse. The hard-right of the Coalition have been dictating climate policy ever since the Liberals took power, continually trashing any chance of a bipartisan policy to reduce carbon pollution. Malcolm Turnbull – who famously said he wouldn’t lead a party that wasn’t committed to effective action on climate change – saw carbon pollution rise for the third consecutive year under his leadership – with pollution levels rising by 1.5% in the past year alone. Under his policies, carbon pollution is projected by the Government to rise further between now and 2030. New Prime Minister Morrison has never had climate change as a priority. The words were not even murmured during his last two Budget speeches. His latest Budget delivered zero new policies or funding to drive down pollution and combat climate change – not even continuing their wasteful direct action program. Pollution is up in every sector; the Liberals are failing our international obligations under the Paris Accord and failing future generations. At the next election, the choice has never been clearer. A Shorten Labor Government is for lower power bills, investment in renewable energy and cuts to pollution. We have our targets of 50% renewable energy, 45% emissions reduction by 2030 (on 2005 levels) and net zero emissions by 2050. The Liberals are anti-renewables, anti-climate science, and do not have any policies to bring down power prices or pollution.